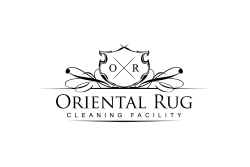 When selecting an area rug cleaning St Petersburg Fl company, look no further than Oriental Rug Cleaning Facility. We have been in the cleaning industry for over a decade. The owner of the company has lived in the central Florida for his entire life and St Petersburg fl holds a special place in his heart. He has attended many industry specific educational courses in the area. He also had the privilege to speak at a Cleaning Convention in the area in 2018 about his companies successes. We take everything he has learned and implemented that into our company polices as well as the training our technicians receive. He takes great pride in providing a positive experience not just a cleaning service. 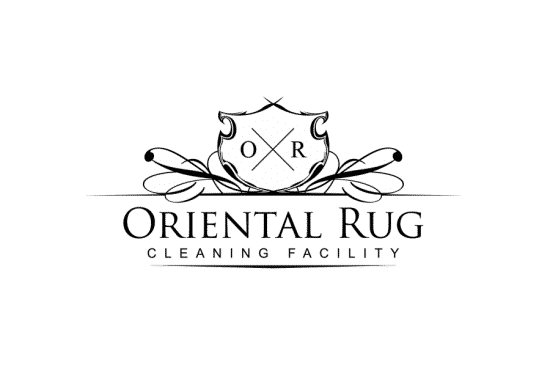 Oriental Rug Cleaning Facility would not be where they are today if it wasn’t for the positive feedback from our awesome customers in the St Pete area. The feedback about our online video demonstrations of our step by step cleaning services has been tremendous. Whether your rug needs just a good ol’ fleshing up, or has a few traffic areas or spill, the video demonstration on our home page of this website can show you what makes us stand out from the rest. Urine concerns? Our pet odor removal video shows you how we can remove the urine salts properly while not damaging the rug itself. 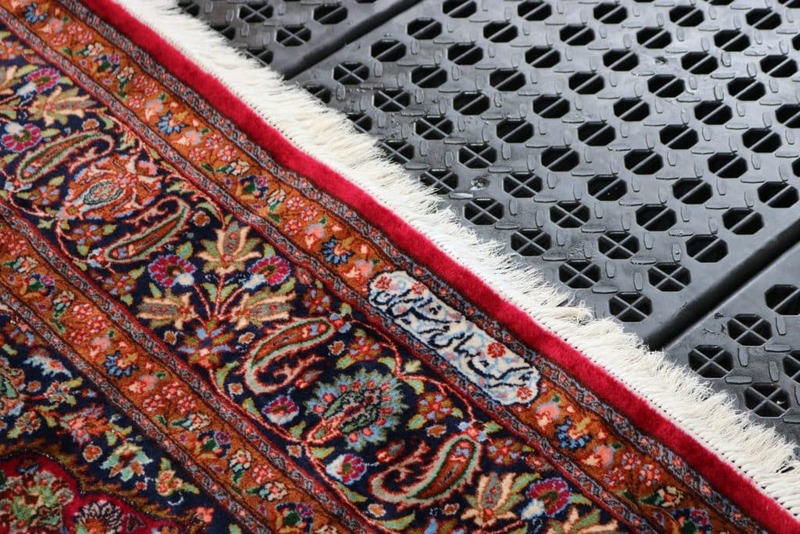 We have a guaranteed 100% pet odor removal guarantee for any rug that comes through our facility. That means we will not be returning your rug unless all odors have been 100% removed. Removing urine salts is the key to this process and normal cleaning chemicals will not do the job properly. Urine salts require a smaller molecule to attack and destroy them properly. We not only have the proper cleaning chemicals for the job but also a unique technique that ensures proper flushing of the area rug cleaning process. 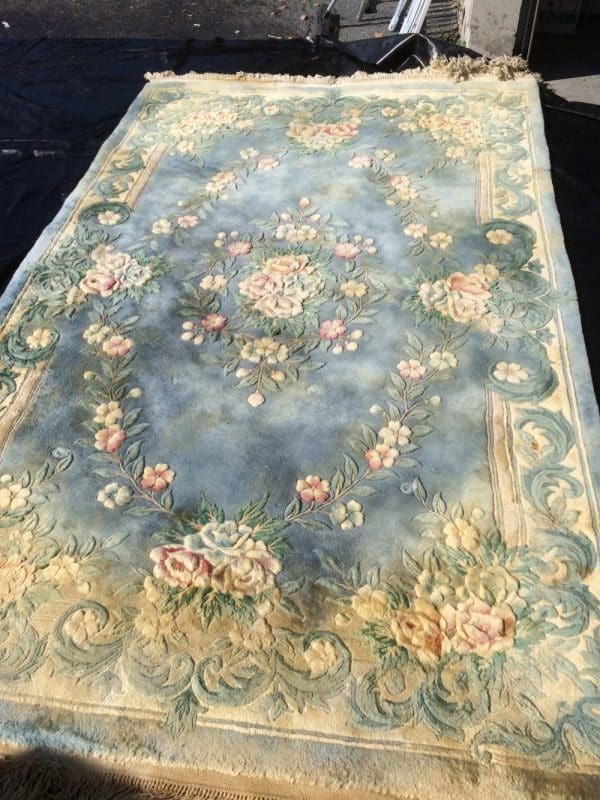 Your rugs come out of this cleaning process not only smelling good, but more vibrant “popping” of the colors as well as a soft plush feel of the oriental rug itself. We take great pride in knowing we are a rare few that can guarantee the removal of all pet odors. While the yellow stain that is left behind from the pet accident can often be permanent due to many different variables, the unwanted odor is something that we have no problem in rectifying. You will see a difference in our rug cleaning company from the minute you call us. From the the friendly voices answering the phone to the rug cleaning technicians that are picking up the your fine area rugs, the experience with our company is truly unique. Thats right, we pickup and delivery your rugs. We will come to your home, do a quick inspection, leave you with some educational material about rug cleaning, then when the cleaning process has been completed we will return them to you like new. Give us a call anytime to set up a pickup and delivery for your rugs today. 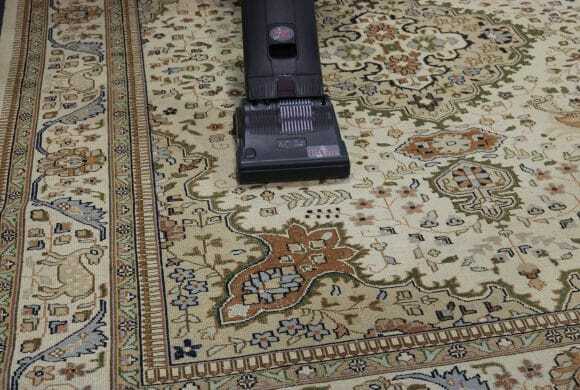 When selecting a rug cleaning St Petersburg company then make sure to check if the company you are selecting has the proper certifications, that they cary the proper insurance and that they can guarantee the removal of any pet odor concerns that you may have when it comes to your oriental rug cleaning questions.